Have any of you played in other bands? Bolverk: We´ve all played in a lot of bands through the years. I myself played my first gig and made my first demo in 1985, so that means more the 30 years in the business and its just getting better every year that passes. How is it that you started playing music? Bolverk: Well, I discovered metal through my cousin, I guess. venom, motörhead, Bulldozer, Tank and Hallows Eve and Kiss was also everywhere when I was a young teenager. I was very attracted to the music and for me it was also everywhere when I was a young teenager. I was very attracted ti the music and for me it was never a question about becoming a musician and metal head. I couldn´t just listen to the music, I had to play myself, wear the studded belt and patches and grow my hear long the hair is gone since many years though. What are your names? / Who plays what? / How old are you? Bolverk: at the moment we are a three-piece. Malignant is the drummer, Jontho is the singer and I am the guitar player. we use viti (Images At Twilight, Hinsidig) as a session bass player at the moment. Malignant is actually pretty young 25 i think, but Jontho and me are older, especially me. we usually say that we are closing in on thirty we just don´t say from witch direction. Have you had other previous members? Bolverk: Ragnarok has had a lot of previous members. the most prominent being hoest (Taake). Who did the vocals on the "Blackdoor Miracle" album. Did you make music even when you were young? Bolverk: Yes, I started making music when i was 12 or 13, but it took many years until i was any good at it. Where are you from? Bolverk: Sarpsborg Norway. What year did the band form? Bolverk: 1994. What's your style of genre? 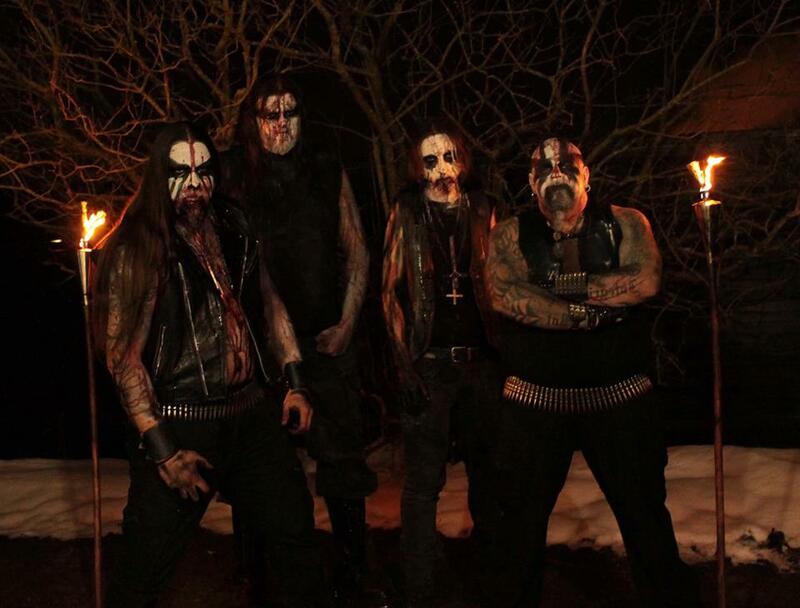 Bloverk: Black metal. What inspires you? Bolverk: I´m inspired by a lot of stuff the sorry state of the world. The curiosities of the human mind. Occultism, religion, hate, madness obviously a lot for other music and probably also lot of other stuff that i don´t come to think of now. How often and where do you reherse? Bolverk: It depends. If we have a show, tour or recording coming up, we rehearse a lot, but if nothings really happening we don´t Rehears quite as much. Usually a lot of stuff is happening, Which means we rehearse quite a lot. How have you developed since you started with the music? Bolverk: Obvioussly you develop a lot as a musician and song - writer in over thirty years, and i also think that growing as a musician and song-writer is one of the reasons we all continue doing this year after year. If you don´t develop, you loose interest, i think. Do you have other interests of work outside the band? Bolverk: Yes, i read a lot and ride my Harley Davidson and spend time with my girlfriend and my kids. Are you looking for a booking agency, and what are your thoughts around that? Bolverk: we have had booking agents, but we usually get less shows when we are signed to a booking agency, so at the moment we are not. We do however assess all offers when they tum up and maybe we will sign with a booking agent in the future. Are you looking for a label, and what are your thoughts around that? Bolverk: Nope. We are staying with Agonia. We are very happy with them. What are your songs about? Bolverk: Our songs can be about a lot of stuff. For instance, our most recent album is called "psychopathology" it was released in march 2016. The academic definition of "Psychopathology" is: "the study of psychological and behavioural dysfunction occurring in mental disorder or in social disorganzation", but we have taken the term a bit further (as usual) And are pointing the finger at how one candissect someone´s mind. Two of the lines from the title track are: "I´m inside your mind. I dissect you soul". It´s inspired by several things, but one of the strongest influences is definitely when Hannibal in the TV-series buries some people, keeps them alive intravenously and grows mushrooms on them. He is a psychiatrist, but way cries some people, keeps them alive intravenously and grows mushrooms on them. He is a psychiatrist, but way crazier than his patients. Another line from the song is: "The cure is worse than the disease." And sometimes it´s like that, you know. Sacrifices are made in the name of science. Anyway, a lot of the lyrics deal with some kind of madness in one way or another. In short; "Dominance and Submission" is about sado-masochism. "where Dreams Go To Die" is about madness, about the twilight zone between dream and reality and the fear of not knowing if yours dreaming or awake. "lies" and "I hate" are pretty self-explanatory. "The eighth of the seven plagues" is about religion being the worst plague of them all. "blood" is about personal sacrifice. "Heretic" is also about religion, emphasizing that some of the most central religious figures might be the biggest heretics of all. "Into The Abyss" is about the path that most of us have chosen. "My Creator" is the lyric that Jontho contributed and it´s very personal to him. "Infernal Majesty" is simply a tribute to our master. Who does the composing and writes the lyrics? Bolverk: The writing process for in Ragnarok is as follows: I bring a song to the Rehearsal room. Then we all arrange, add and remove and make suggestions until we have a result we all like. As for the lyrics, Jontho and me was sitting around my dining room table fitting the words to the music. we were singing and screaming, trying out different suff until it all came together. It would have been very embarrassing if anyone heard us in this process. Very embarrassing indeed, but it has to happen, you know. There is a lot of work involved in finishing a song. everything is rehearsed in detail before we go into the studio and we only change small details at the end of the process. It can be stuff like tempo, guitar overdubs, ideas for the vocals that turn up and so on. Do you start with the music or the lyrics? Bolverk: mostly i start with the music. Sometimes the lyrics come to me first and i write music to fit that, but usually the music comes first. The lyrics are born kind of like poems and then i fit them into the songs as i go along. I´m feeling very modern these days as I've recently started to record simple demos myself, which means that few riffs go to waste. I can make a riff lying on the sofa in my living-room, record it on my phone, send it to a cloud and pick it up again on the computer in my music-room pure magic. Do you compose in a certain inviroment? Bolverk: Usually just at home. sometimes a riff turns up in my head when i´m not at home and if it´s any good i have to rush home to record it. One time i forced myself to keep a riff in my head for two hours when i was outside playing in the snow with the kids and that turned out to be the opening to "blood of saints" from the album "malediction". Have you done any covers live? Bolverk: in the past with other bands, but with ragnarok, no. What language do you sing in? Bolverk: English. What are the least and most people to attend one of your gigs? Bolverk: That can differ from very few on a Monday on tour in Europe to thousands on the big festivals. What ages are most of your concert attendants? Bolverk:all ages. from kids going with their parents to people even way older than me. Is it easier to find inspiration from older bands, or bands that are more active today? Bolverk: for me, it´s easier to find inspiration from the older bands. The bands. The bands were way fewer and you had more time to check them out. I also think that the stuff you like when you´re Younger sticks stringer to the mind than what you hear when you´re older. Today, there is a multitude of bands, genres, styles, images. you name it and it´s just too much to take in for one simple soul. At least that's my opinion. What have been your biggest obstacles? Bolverk: There´s always obstacles member changes, collaboration partners. The business side of things you name it. we try to see all the obstacles as challenges and we´ve seen many of them and have still prevailed. What advice would you give other bands or artists? Bolverk: stick with it be inspired by others but don´t copy anything. do you own thing. How do you get psyched for a gig? Bolverk: about and hour before a gig I go into "Ragnarok-mode." then I start focusing on the show, concentrating, warming up, preparing the guitars, putting on make up. Do you have any new material? Bolverk: Yes, five or six songs are pretty much ready. I´m planning to have some songs to choose from for the next album and I feel that the songwriting is going well. as we just released and album, the next one is still some years in the future, so we are going to be well prepared for that one. What are your web sites? Bolverk: www.ragnarokhorde.com, but i don´t think its very updated. the best way to keep track of us is on Facebook. there you can be updated on what´s happening with the band and feel fre to contact us personally if you like. What are your plans for the future? Bolverk: play shows making albums keeping the ragnarok-spirit alive. Do you have something to add? Bolverk: Thank you for supporting the scene and thank you for supporting Ragnarok. we all need to stay together to keep the spirit alive.